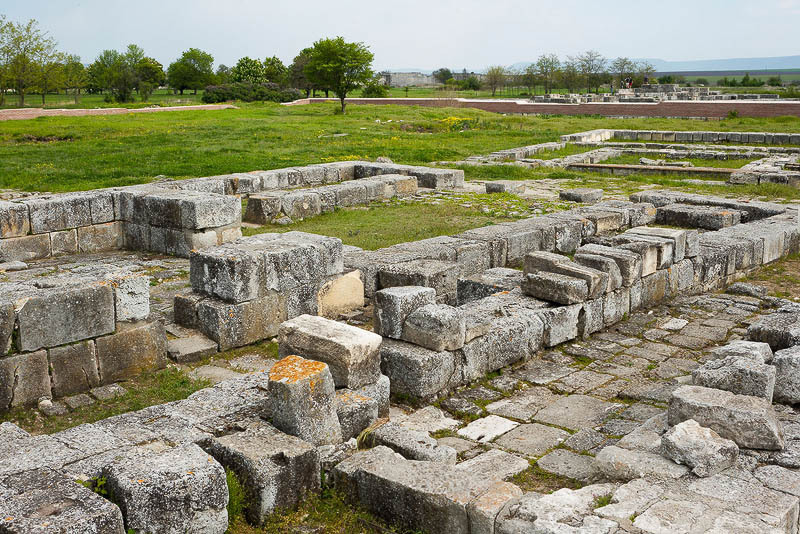 Spring view from excavations of king palace and settlement in ancient Bulgarian capital Pliska. Stone blocks, remains of ancient building. Archaeological, historical and cultural centre. Old historical monument. Architectural heritage. Archaeological sight. Tourist destination and landmark. Ancient Bulgarian architecture. Tourism and archaeology.